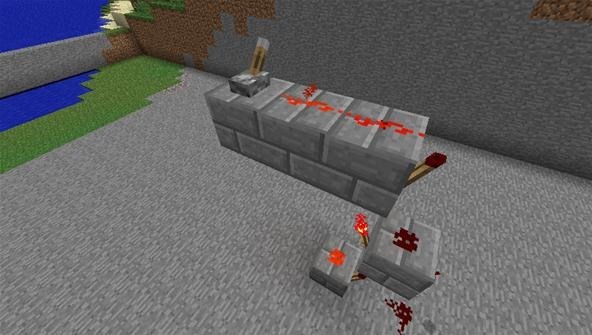 There are a million tutorials on the Internet for how to transmit redstone power up and down, but that's because vertical power transfers are both really important and very counterintuitive. This quick and easy guide should help clear it up! 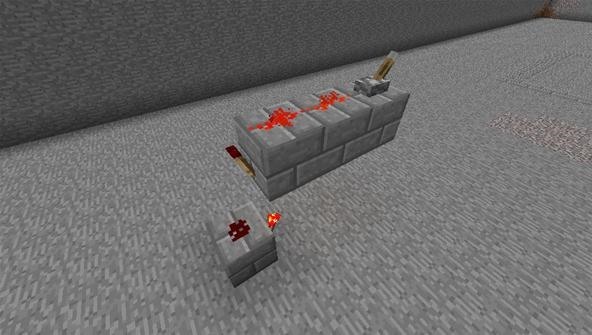 Transferring redstone power up and down requires different mechanisms due to the mechanics of the game. Transferring upward means that your power source is on the ground, and you want to provide power to something above you. Upward power is also the easiest one to remember! Any block will suffice. It doesn't matter what type, provided that it can conduct power (so no glass). 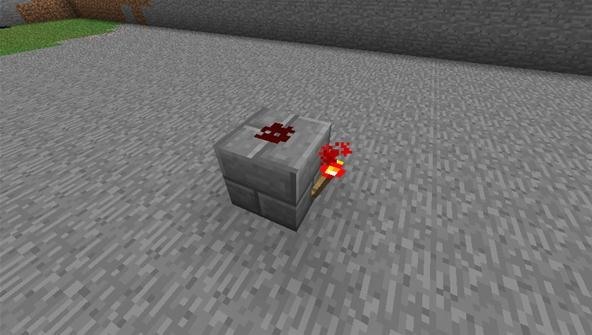 As the name says, stick a redstone torch on top of the block. 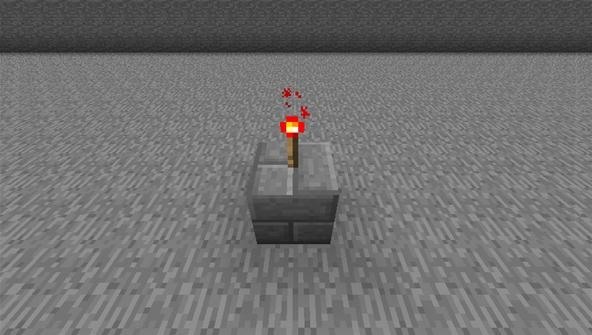 Place a block on top of the torch. At this point, you can put redstone on top of that block, and you'll be done. You may notice that the redstone on top of the block is powered. You can run that power to anywhere you'd like. 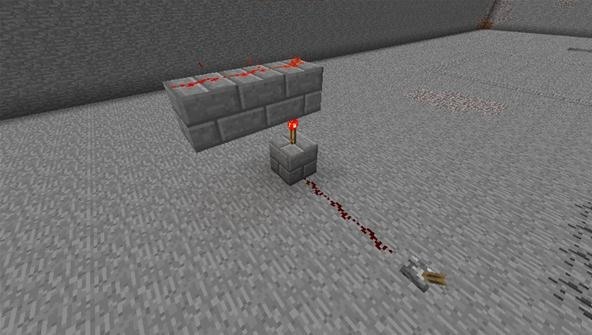 Alternately, you can keep going and add another redstone torch on top of it. You may see the top torch go out, and that means that it's working. Torches turn on and off as power passes through them. Simply run your power source into the bottom block, and you're good to go! You can keep this going as high as you could possibly like! Transferring power down means that your power source is up, and you want to power something below you. This is the hardest one, because it's so counterintuitive. Stick with it, though, and you'll get the hang of it in no time! Choose your bottom block first, as it's easier to build from the bottom up. 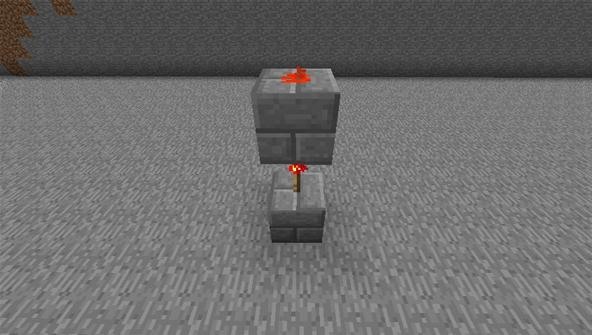 Place your block, and attach a redstone torch to its side. Then put a bit of redstone on top of it. This is often the hardest step to remember. 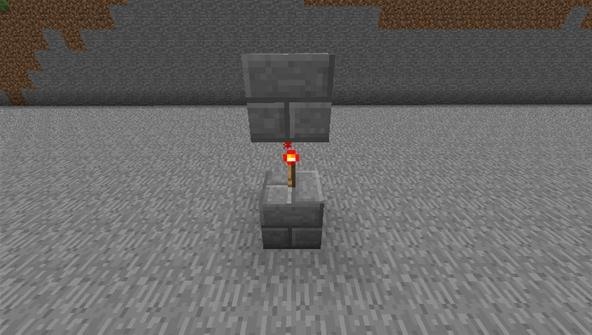 You need to place a block above the torch, not above the block. But not directly above the torch, because there needs to be an empty space in-between the torch and the block above it. Step 7 Repeat or finish! At this stage, you can choose to either finish or continue. 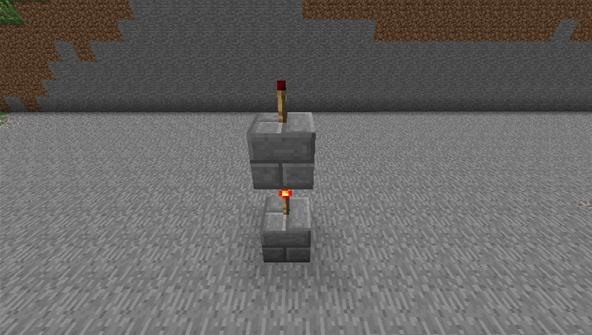 If you continue, you essentially just repeat the first block over and over again, making sure that the blocks line up with the torch below them. They can face any direction you like! Congratulations! 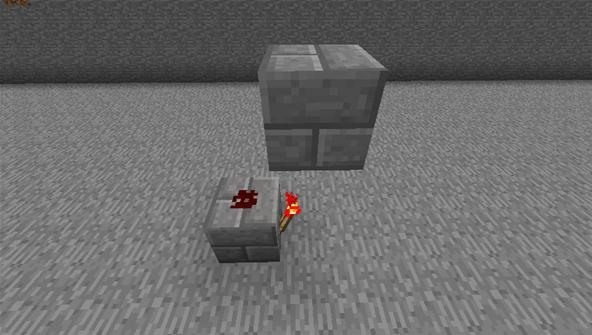 You can now transmit redstone power both up and down. 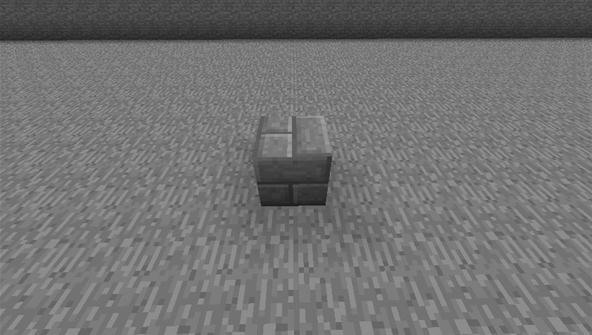 This is useful for nearly any build that uses redstone because it's rare that you want your switch at the exact same level as your redstone mechanism. The applications for this are nearly limitless, so go show us what you've got! I'm new to this site, but loves these little tutorials. They add so much to the towns my wife and I make on the 360. I still prefer the spiral stair method and only using redstone dust. Not as much delay. unless one wants delay then it's ok. Still, this method saves blocks and redstone(?) and does not take as much space. It is harder to memorize though.